Beep, Beep! 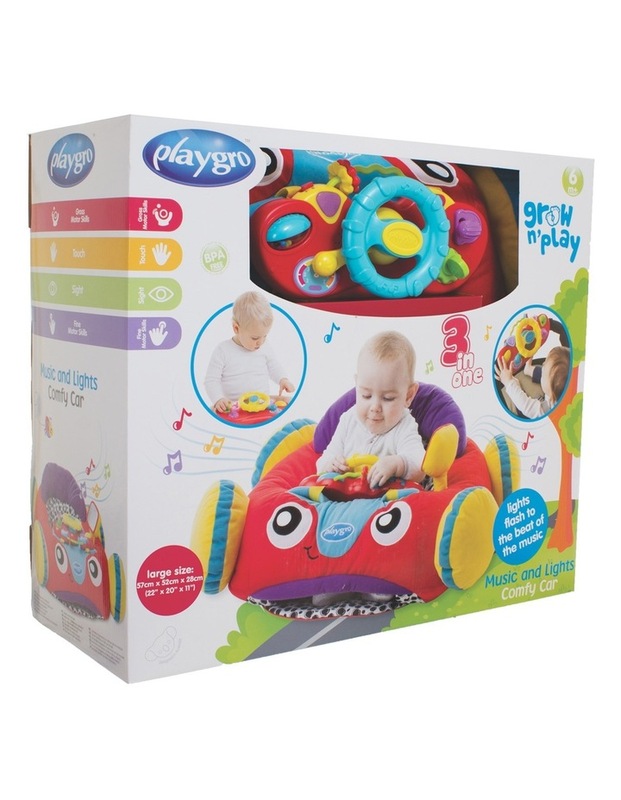 Cruise around in the playgro music and lights comfy car! 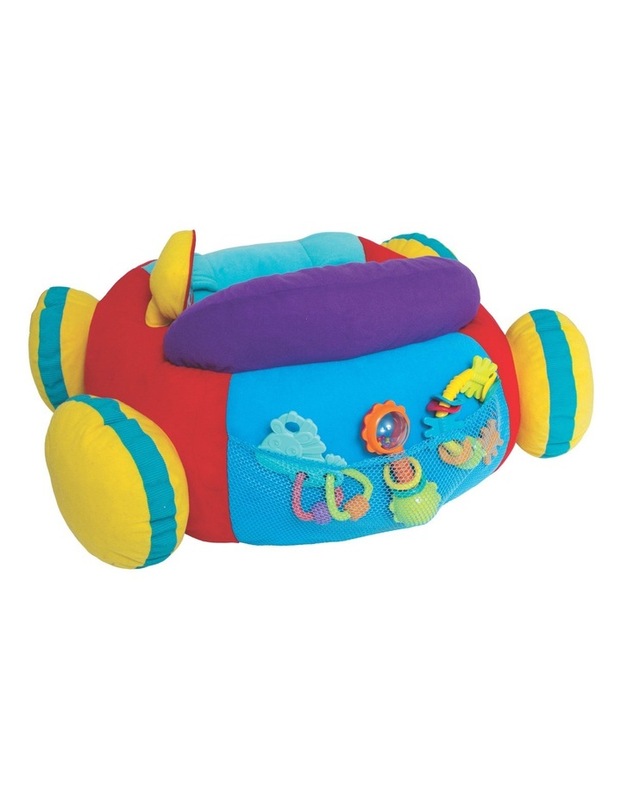 This adorable plush car is the perfect place for baby to practice sitting up or for older babies to sit up and play in comfort and style! 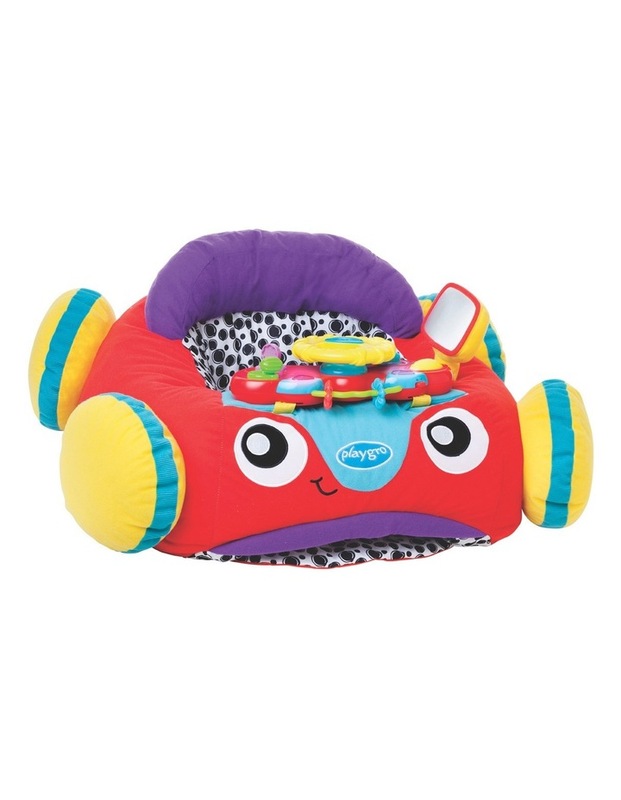 Baby will love exploring the detachable driver toy which includes loads of fun music and lights features. Baby will love the sound of the horn beeping, the indicator clicking and the rattling balls spinning. This adorable car also comes with baby's very own side mirror to help them learn about reflections and encourage imaginative play. Baby will practice developing their fine motor and gross motor skills with the many features for sliding, twisting ,spinning and pushing with their little fingers. Baby will also love storing their favourite toys in the convenient storage pouch and taking them for a drive on their imaginative journey! Easily detach the music and lights driver toy and attach to most prams, strollers or capsules for an extra way to play!